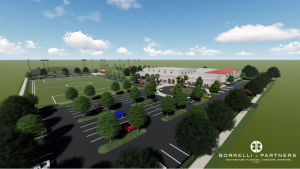 The Borrelli + Partners’ design team has been selected for the design-build contract to renovate and construct the City of Orlando’s Grand Avenue Community Center. 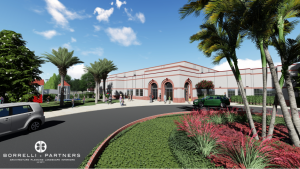 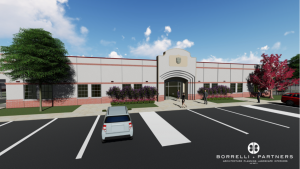 Originally a school built in 1926 and designated a historic landmark by the City of Orlando in 1995, the Community Center will house multiple programs including the Parramore Kidz Zone, After-School All-Stars, Orlando Pottery Studio as well as a MAC gym and yoga studio. The $17 million budget includes renovations of the existing 29,844 SF school building and 66,000 SF of new construction.